The Who are the only act in Festival d'été's 2017 lineup that can lay claim to having been around longer than the event itself, but as they showed the crowd in kicking off their North American tour, age is but a number. Over the course of two hours, the band demonstrated what a live performance from a legacy act should be: an evening with little filler and a healthy helping of hits. Led by surviving members Roger Daltrey and Pete Townshend, the band's set drew from eras across their storied career. "Who Are You" and "Behind Blue Eyes" prompted audience sing-alongs on their own, while "I Can't Explain" and "The Kids Are Alright" had some older attendees pining for the 1960s. They put the spotlight on their rock opera artistry with brief selections from Tommy and Quadrophenia, while giving the courtesy hat-tip to the late career LPs Face Dances and It's Hard with "You Better You Bet" and "Eminence Front." They even dug deeper for less likely favourites in "Bargain" and "Join Together." 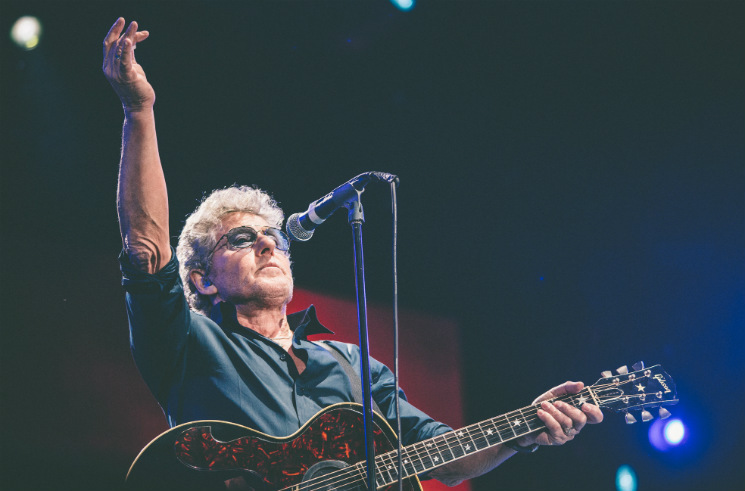 Though his voice has taken on a more throaty quality with age, Daltrey was still able to sing all but the latter of the band's songs in their original keys — something many of his contemporaries still touring can't lay claim to. He left the job of stage banter largely to Townsend, a man of few words himself, minus his attempts to discover how to bid the crowd goodbye in French and how to pronounce "Quadrophenia" in "Quebec-ese." Of course, Daltrey and Townsend also made sure to have their signature stage moves down no matter how old and weary they may have appeared. The vocalist flung his microphone about by its cord with abandon, while Townsend didn't shy away from working in his iconic windmill strum in wherever he saw fit. It was hard not to be amazed both by their accuracy and their ability to execute those physically demanding moves many years removed from their musical heyday.